Tablelist, Reserve and HotelTonight bring you the ultimate summer escape, right in your own city. Read on for event details. 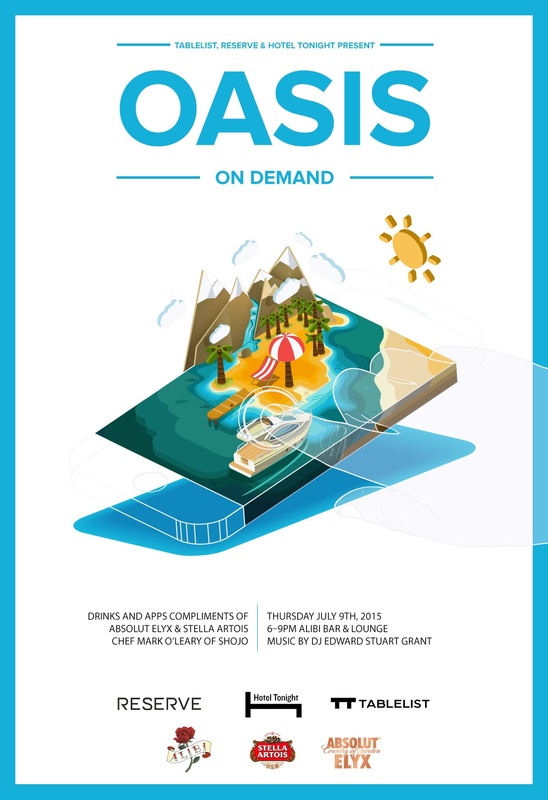 You’re invited to taste, sip, and lounge in our Oasis: On Demand.Reserve, HotelTonight and Tablelist have partnered together this summer to bring you a day of sun and lounging in the city: The ultimate staycation. Join us 7/9 after work from 6pm to 9pm on the patio at The Liberty Hotel’s Alibi for FREE bites, drinks, music and great people. We’re celebrating summer with Boston’s 3 hottest on-demand apps that allow you to travel, dine and go out in style. Simply RSVP (& share with friends!) then follow the instructions on the thank-you page to unlock each of the experiences at the party. See you on the patio! Next PostNext Bijou feat. Passion Pit – Boston: Tickets & Tables On Sale Now!